The United States has completely denied the statement made by Hafiz Saeed, founder of the banned terrorist group Lashkar-e-Taiba (LeT), that the new pact between India and America against the China Pakistan Economic Corridor (CPEC), is "against the Muslim World and bulwark Pakistan". Speaking to the media during the daily press briefing, the United States State Department Deputy Spokesperson, Mark C Toner said, "I mean, I would dismiss it outright. We have a strong bilateral relationship with Pakistan, but one that is premised on counter-terrorism cooperation and as - as part of that conversation, or that dialogue and that cooperation that we have on counter-terrorism issues." Toner reiterated that Washington has made it clear to Islamabad that it has to go after terrorist groups who seek to harm neighbours. "We made it very clear that Pakistan can't pick and choose which terrorist groups it goes after, and it has to go after those groups that seek to do harm to its neighbours and may seek refuge on Pakistani soil," he added. Jamaat-ud-Dawah chief Hafiz Saeed, who orchestrated the November 2008, Mumbai terror attack in which 166 people were killed is based in Pakistan, and on Wednesday in a seminar said that consensus between New Delhi and Washington DC is "frightening". "The new pact between India and America is against Pakistan, against CPEC; in fact, I believe it is against the Muslim World and its bulwark Pakistan. This is a very frightening pact. What America could not achieve while being in Afghanistan, where it faced a dishonourable defeat, it is now trying to complete its mission from India. It (US) believes that since Afghanistan was a country of Muslims, they could not achieve their targets while being inside the country, all they could do was spread Terrorism and unrest across Pakistan," said Saeed. He said that America's issue was China and Pakistan was India's issue and that their interest has become one because of CPEC, adding, "This is the basis of their new pact. This is the preparation of a terrifying war." "India and America are worried that if the CPEC project succeeded, the entire Muslim World would stand beside Pakistan. And, the (resultant) new defence and economic pacts that will take place will oust America not only from this region and the Middle East, but from all important places and waters of the world. America will have to get out of all these places. That is why today the biggest hurdle before them is Pakistan," he added. Indian Prime Minister Narendra Modi had during the bilateral meeting with Chinese President Xi Jinping on the sidelines of G20 summit in Hangzhou, raised India's concern over the CPEC, saying the two countries need to be "sensitive" to each other's strategic interests. Emphasising that the fight against terror should not be motivated by "political considerations", Prime Minister Modi said it is of paramount importance that both countries respect each other's aspirations, concerns and strategic interests. 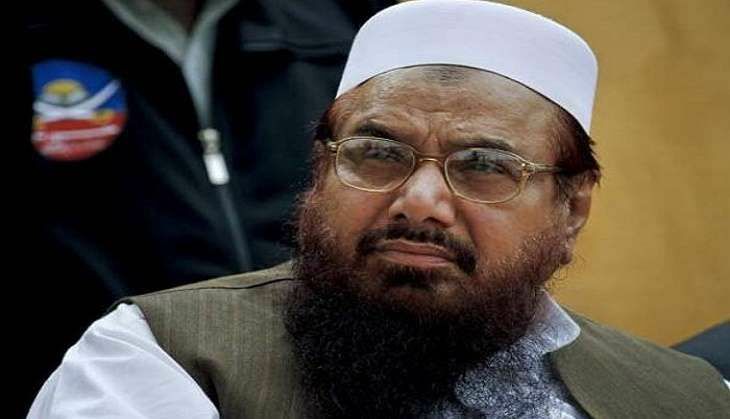 Though the UN has declared JuD a terror organisation and individually designated Saeed as a terrorist in December 2008, he continues to live freely in Pakistan. READ NEXT >> R.I.P 3.5mm headphone Jack, you will be missed and we'll keep your remains safe. Promise!